THE OTHER TWIN by L.V. Hay is aptly titled: this book has two identities. On the one hand, this book is an inventive, addictive psychological thriller for the social media age—a binge-worthy story that considers the secrets we can hide online. On the other hand, it's an unflinching and heartbreaking glimpse into the damage we can inflict on one another when we impose our own worldviews on those around us. As much a call for acceptance as it is an addictive thriller, THE OTHER TWIN will surprise readers with the substantial message that lies underneath its engaging and binge-worthy plot. There’s so much about THE OTHER TWIN that will instantly engage psychological thriller readers. Personally, my favorite element of this book is how it plays on the anonymity that social media grants its users. The internet gives us the ability to share our lives with the world—whether the life we choose to share is fact or fiction is up to us. In the case of THE OTHER TWIN, main character Poppy returns home to discover that her now-deceased sister had crafted a new world for herself online, through a blog. While reading her sister’s blog posts, Poppy begins to understand that there was so much about her sister’s life she never really knew—and that the key to her sister’s untimely death may be hidden in this online world. Hay uses the anonymity of the internet as a launching pad for a mystery of hidden lives and personal secrets. Hay has a writing style that hooks you from page one and doesn’t let go. Poppy’s search for the truth about her sister’s death is both emotionally compelling and wholly addictive. This search takes readers from Poppy’s childhood home, through the streets of Brighton, into the world of India's online community, and behind the closed doors of some of the community’s most well-respected families. Poppy must face up to baggage from her past, re-evaluate relationships gone wrong, and take an honest look at the lives of those closest to her. THE OTHER TWIN is engaging and relentlessly absorbing—it’s no surprise that author Hay has a background in the film industry, considering how movie-worthy her debut psychological thriller is. But THE OTHER TWIN isn’t just an addictive psychological thriller. At the core of this book is a message of acceptance: a story that illustrates just how crucial it is to approach each person in our lives with open-mindedness and understanding. It’s difficult to discuss this aspect of the story without spoiling one of the book’s biggest reveals, but I will say that I was thoroughly impressed by the thoughtfulness with which Hay tackles a sensitive subject. 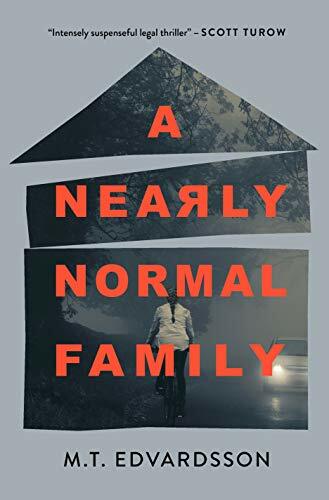 Hay does an excellent job writing a psychological thriller with a conscience, and I was equally impressed with her Author’s Note, which takes the time to acknowledge those who helped inform her on social issues presented in the book. What begins as a purely addictive and entertaining psychological thriller turns out to be a book with a strong, socially-aware message that will leave the reader thinking well beyond the resolution of the story's central mystery. THE OTHER TWIN is engaging, addictive, and fast-paced—and it’s also a heartbreaking and emotionally compelling story. This psychological thriller will be an excellent choice for readers looking for a book that blends major entertainment value with a social conscience. In short, another winner from Orenda Books! Find THE OTHER TWIN on Amazon. Follow along with the blog tour for THE OTHER TWIN!